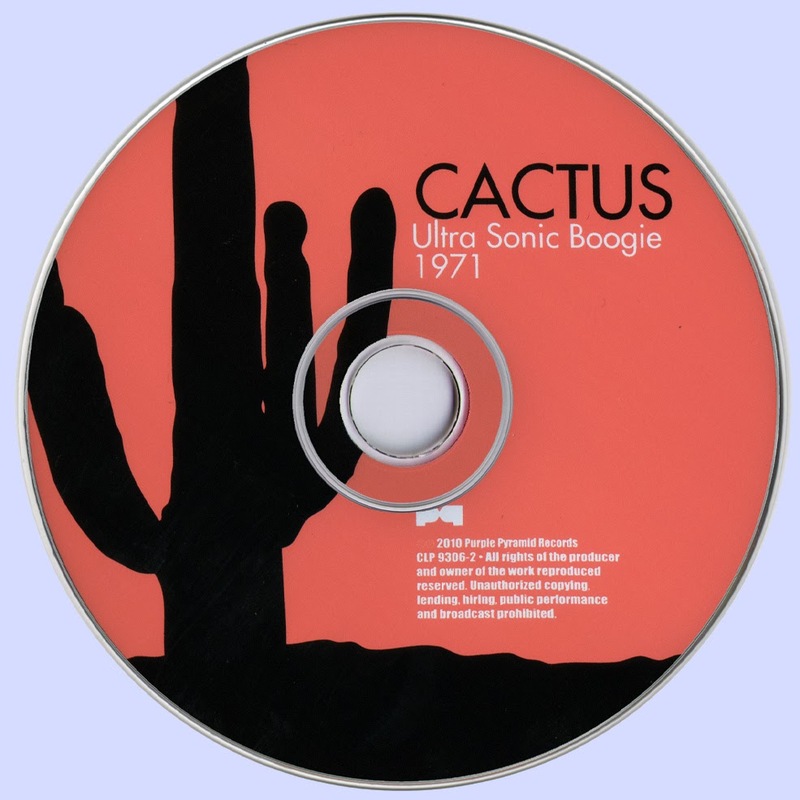 There aren't a lot of live Cactus recordings from the early '70s, so it's quite a revelation to have a concert recorded in 1971 at radio station WLIR's Ultra Sonic Studios (Long Island, NY) released courtesy of the folks at Purple Pyramid Records. In front of a crowd of a hundred or so, the classic line-up of Cactus (Carmine Appice-drums, Tim Bogert-bass, Jim McCarty-guitar, and Rusty Day-vocals) tore through a fiery set of songs from their first few albums, including some raucous solos. The audio quality of this set is like a very decent bootleg, so don't expect pristine sound here, but crank it up and it will indeed do the trick. The band kicks off with a scorching version of "Evil", complete with plenty of slashing guitar work from McCarty and a rumbling, unaccompanied drum solo from Appice. It's one of their heavier, most beloved songs and they do a fine job on it here, with Day's powerful vocals rough & ragged and soaring over the top. The catchy and quite bluesy "Bro. 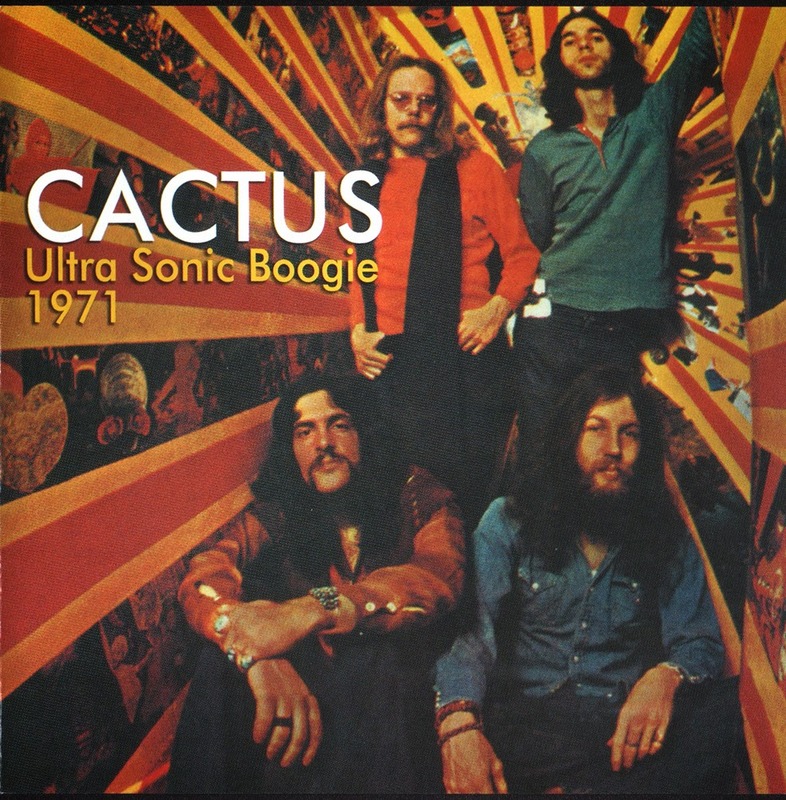 Bill" comes up next, always one of their more charming tunes, and the rumbling "Oleo", complete with it's heavy blues riffs, slide guitar, harmonica, and beefy bass lines from Bogert, shows that at their core, Cactus were really a blues & boogie band with plenty of volume and fuzz. McCarty lays down a variety of tasty licks on the slow blues grind of "No Need to Worry", and the band even tackled their then newly released single "Token Chokin' ", a sing-along country blues number that was rarely if ever played live, so this obviously was a very special occasion. The extended blues/boogie romps "Big Mama Boogie (Parts 1 & 2)" are a lot of fun, showing Cactus at their playful, jamming best. Any Cactus fan will surely be thanking the lucky stars that these previously long lost tapes were discovered. It's a great set, and by the time the CD is done you'll wish there was more. If you are looking for a great snapshot of where Cactus was as a live act circa 1971, this is it folks. Μια ζωη ακομη να ζουσα,εδω μεσα θα την περνουσα διοτι δεν προλαβαινω να ακουω ομορφιες.Ακομα αναρωτιεμαι ποιο καθαρμα εφαγε τον αξεπεραστα γλυκο και δυναμικο Rusty Day που θαυμαζω προσωπικα.Marios you are Great! Going to the movies tonight with Jim McCarty. I'll ask him if he has any more old Cactus recordings that he might be sitting on.